The presentation for the 2018 RR Smith AGM is available here as a PDF document. The R.R. Smith Board of Directors were pleased to grant over $22,000 to 19 educational charities this past year. Every request was given some funding. Often grant recipients send updates on their projects to the Board. This past year R.R. Smith has published two newsletters that have contained these updates. Unfortunately, not all members receive these newsletters as they are sent via the B.C. Retired Teachers’ Association email list serve and not all members have an email address or have updated the B.C. Retired Teachers’ Association with their current email address. These newsletters may be read on the R.R. Smith website www.rrsmith.ca or on the B.C. Retired Teachers’ Association website under R.R. Smith. The reports are heart warming and uplifting. There will be discussion of and decisions made at the upcoming AGM that changes the way R.R. Smith is funded. For the past 16 years R.R. Smith has received additional donations from the B.C. Retired Teachers’ Association and branches to fund the many worthwhile educational projects in B.C. and around the world. According to the B.C. Retired Teachers’ Association lawyer, the B.C. Retired Teachers’ Association may lose their “Not for Profit” status and run the risk of being taxed by Canada Revenue Agency if they make donations to R.R. Smith. In order to continue to support R.R. Smith, the B.C. Retired Teachers’ Association has asked R.R. Smith to charge a membership fee and has split the $40 B.C. 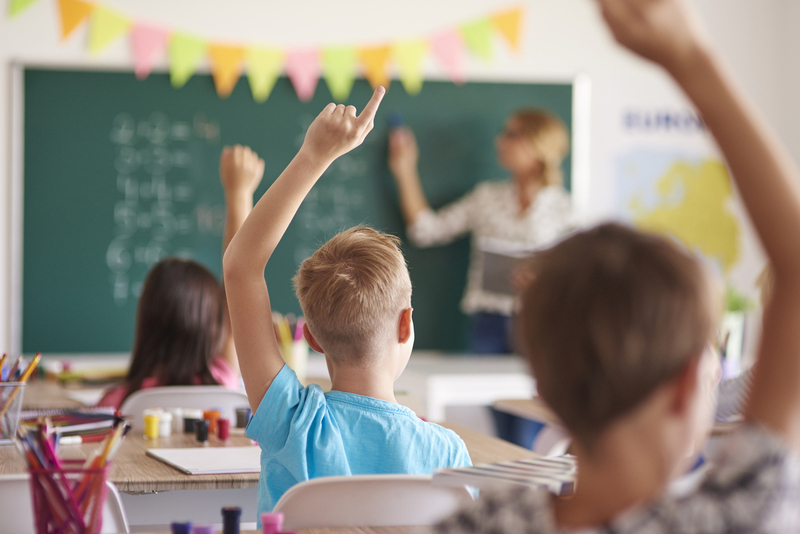 Retired Teachers’ Association membership fee so that $38 will go to the B.C. Retired Teachers’ Association and $2.00 will go directly to R.R. Smith. Motions making these changes will be voted on at both the R.R. Smith AGM and the B.C. Retired Teachers’ Association AGM in September and will take effect July 1st 2017. Between November 28th, 2016 and November 28th, 2018, R.R. Smith will have to transition under the new Societies Act. Any necessary updates and changes to R.R. Smith’s Constitution and Policies and Procedures will be brought to the 2017 AGM for ratification. I would like to thank Board members Beverly Anderson, Steve Bailey, Dave Carter, Andy Hattrick, Barb Mikulec, and Sheila Pither for their hard work, help and skill needed to run this organization smoothly. Thank you also to Patricia Laursen and Kristi Josephson who so capably handle everything in the office. As well, I would like to thank Anders I. Ourom who so freely donates his time and knowledge to help with legal matters. Thank you also to Dan Carter, a retired CGA, who donates his time and expertise to audit our books. The 2016/17 year has been rewarding and productive. 15 grants totalling $21,000 were made to educational projects in B.C and around the world. These grants were reported in the Postscript and the R.R. Smith Newsletter. The R.R. Smith Newsletter is published several times a year and is sent to members via email. The Newsletter is also on the R.R. Smith website, www.rrsmith.ca. If you have not received it, then the B.C.R.T.A. does not have your current email address. Please contact Laurie at laurie@bcrta.com or 604-871-2260 and give her your current email address. A number of changes have been made by the R.R. Smith Board of Directors to increase revenues leading to better support for educational projects in B.C. and around the world. 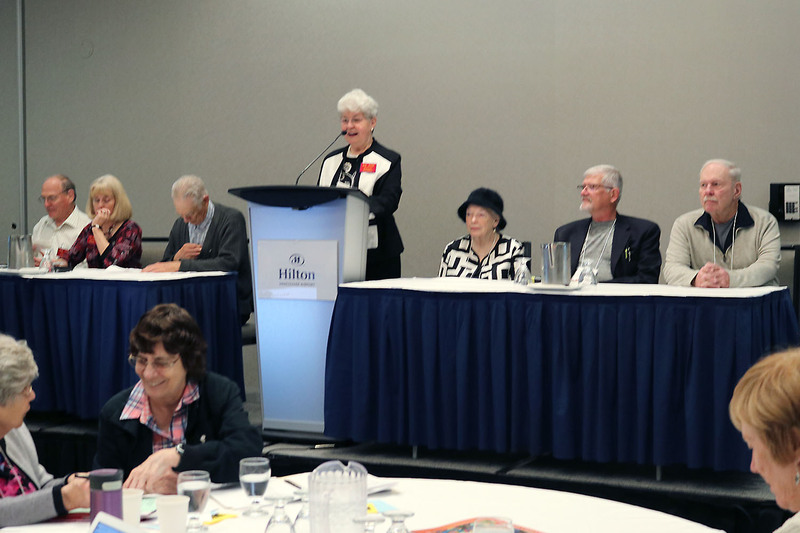 The first change happened at the 2016 AGM when the splitting of the B.C.R.T.A. fee was approved and R.R. Smith now receives $2.00 per member, annually. The second change was to move the R.R. Smith Endowment fund into VanCity Community Foundation creating the R.R. Smith Community Fund resulting in an increase in revenue. Through this fund, members can now make tax receipted donations to R.R. Smith that can be designated to a particular charitable organization. All of the 2017 grants were successfully directed through the VanCity Community Foundation account. This system has been tested and it works. To make a donation go to https://www.vancitycommunityfoundation.ca , click on “Funds” at the top of the page, type R.R. Smith in the “search” area, click on “R.R. Smith Community Fund”, click on “Give to this Fund”, and fill in the details required. A tax receipt will be issued for donations over $20. If you wish to designate the funds fill in the organization in the “Leave a comment” section. A third change is to introduce advertising in the R.R. Smith Newsletter. Members with businesses and businesses that provide services to our members are able to make a tax receipted donation for a space in the Newsletter. Full page for a donation of $335 or more. This is a unique opportunity for members to promote their businesses to over 7500 colleagues. Revenue generated from this initiative will further increase the support our members give to education. R.R. Smith’s affiliation with Enjoy Tours continues to benefited many members. Members and companion(s) have an opportunity to enjoy fully escorted day tours, short trips or longer vacations from the Enjoy Tours catalogue www.enjoytourandtravel.com . This Fall, R.R. Smith is offering to members living in Surrey three more day tours in addition to those listed in the catalogue. There will be one pick-up and drop-off in Surrey. In 2018, this opportunity will be expanded to other communities. Enjoy Tours donates to R.R. Smith when B.C.R.T.A. / R.R. Smith members book a trip. A new initiative this year has opened up educational opportunities for R.R. Smith members as well. R.R. Smith has partnered with Linda Fawcus, the CEO of Gluu Technology, to achieve a goal of give older adults the tools and knowledge needed to use technology to enhance their life. Langley Retired Teachers’ Association has successfully piloted iPad/iPhone workshops for members. Now that Langley has developed a plan that works, other RTA’s are looking at similar services to their members in the Fall. Delegates to the 2017 B.C.R.T.A. AGM will have an opportunity to hear Linda speak. R.R. Smith has worked with our lawyer, Anders I. Ourom, to reconfigure our constitution and by-laws to comply with the New Societies Act. Notice of Special Resolution is being given to members that changes are being made to our Constitution and By-Laws. These changes will be debated and voted on at R.R. Smith’s AGM at 9:00 on September 23, 2017 at Hilton Vancouver Airport Hotel. The proposed Constitution and By-Laws will be on the R.R. Smith website. On behalf of the R.R. Smith Board of Directors, I would like to thank Office Administrator, Kristi Josephson and Laurie Boyd for all the work they do for R.R. Smith. I would also like to thank Anders I. Ourom for his legal advice and the work he does for our organization each year. Another “Thank you” must be extended to Dan Carter who is a retired CGA and who prepares the R.R. Smith financial report. Working with Troy Opper of Enjoy Tours, Lisa Hansen of Johnsons and Linda Fawcus of Gluu Technology expands opportunities for our members and supports our goal to provide funding for educational projects in B.C. and around the world. Lastly and most importantly, I wish to thank the R.R. Smith Board of Directors for their help to make R.R. Smith a success. Bev Anderson, Vice-President; Andy Hattrick, Secretary; Dave Carter, Treasurer; Sheila Pither, Member-at-large; Steve Bailey, Member-at-large; and Elaine Anderson, Member-at-large are dedicated to the work that R.R. Smith does.